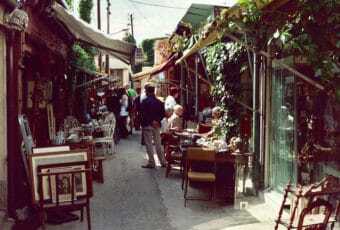 Review: Vanves Flea Market (Paris, France) 4.4090909090909 out of 5 based on 22 ratings. 22 user reviews. 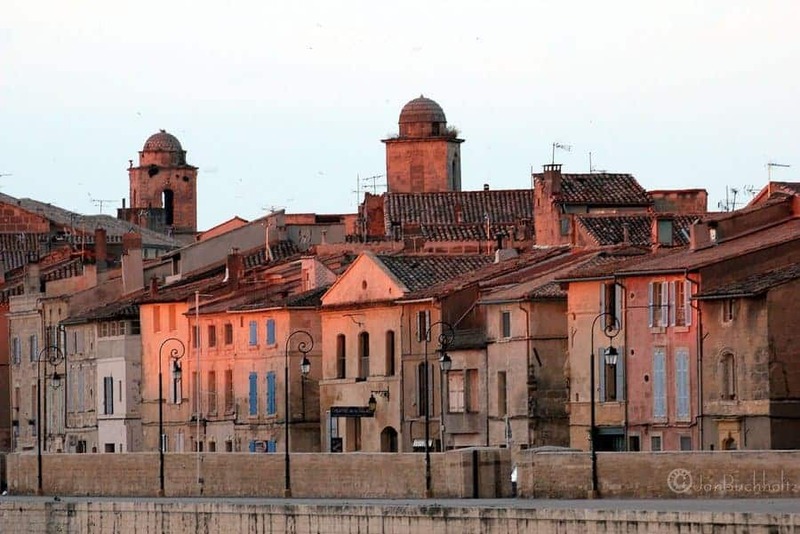 The French capital is well-known for its fashion boutiques and stylish pedestrians. However, it’s not all just about the latest trends. 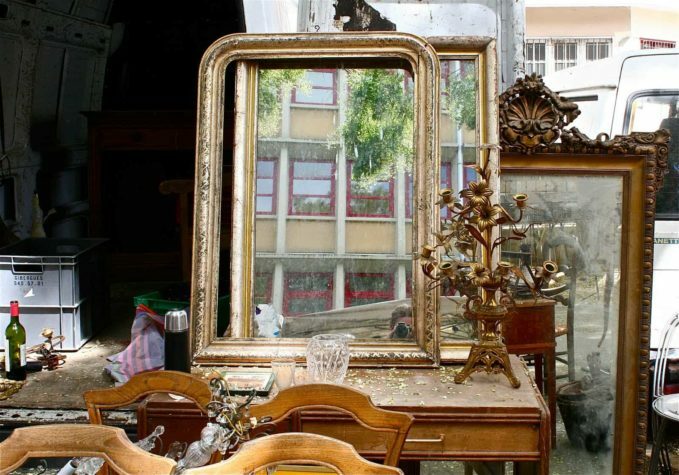 Parisian flea markets, or “brocantes”, as the French call them, are treasure troves full of seducing second-hand items. 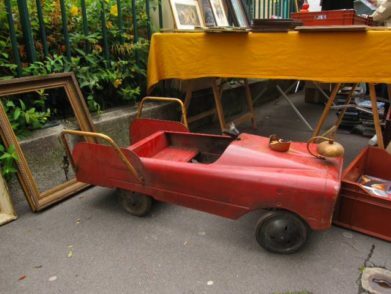 And Vanves is probably flea markets enthusiast’s favorite. 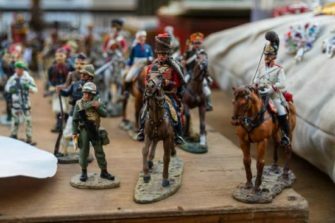 Flea markets first appeared in Paris during the 18th century, when scruffy entrepreneurs would dig through the rubbish of the elite, in the hopes that they’d find trinkets to sell. 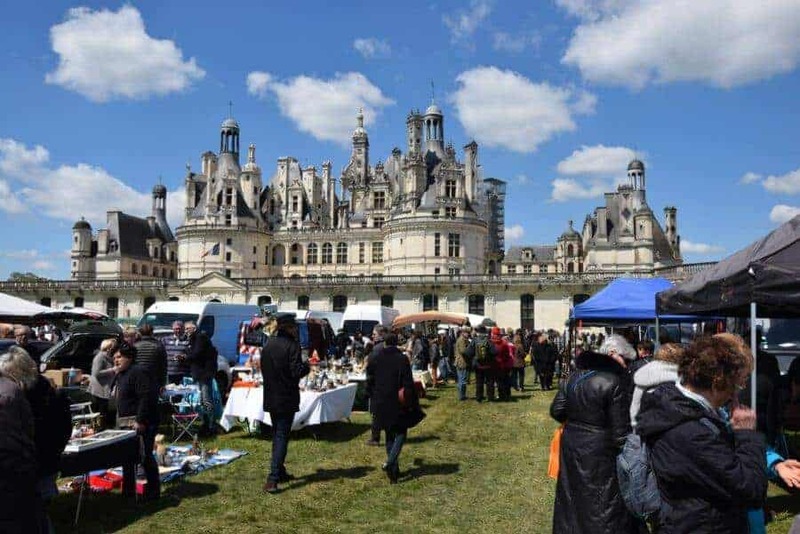 They wouldn’t open within the city walls, as this would incur too many fees and taxes – instead Parisian flea markets would take place just outside the gates of the French capital. 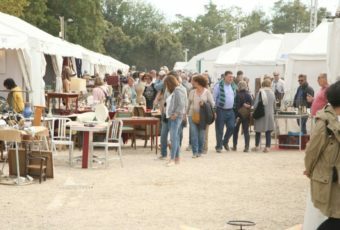 Therefore today, the city’s main flea markets take place on the outskirts near the Boulevard Périphérique. 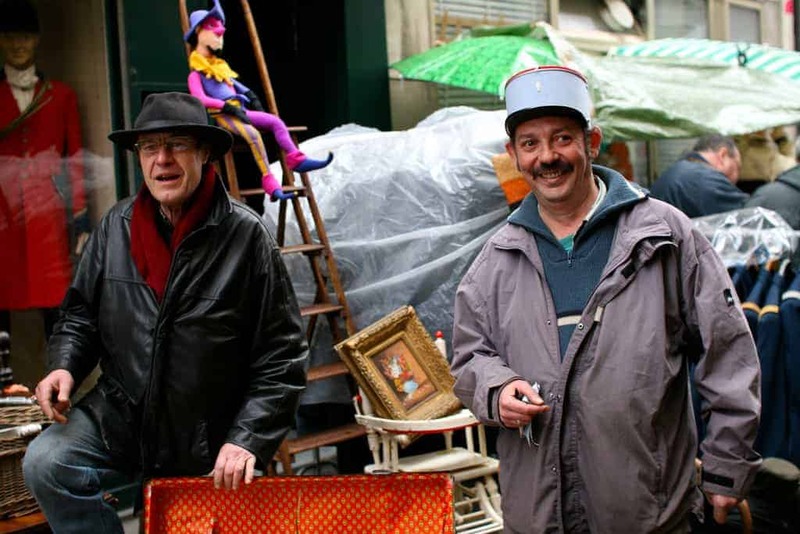 Usually tourists head straight to the Puces de St-Ouen (also known as les Puces de Clignancourt), the biggest flea market in the city. 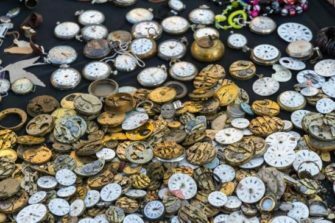 While this market is certainly incredible, it can be a little overwhelming for some shoppers – its 2,500 stalls form a vast maze, with 17 kilometres of winding alleyways. 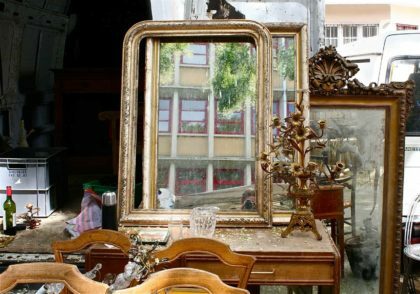 If you’re on the search for somewhere more tranquil, then a suitable alternative is Vanves flea market. 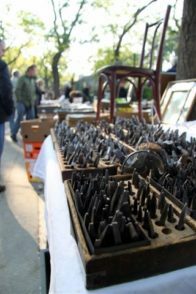 Hidden in a quiet corner of the city, Vanves flea market is easy to get to, and even easier to navigate your way around. 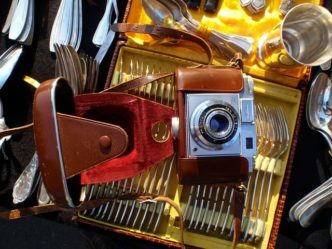 One of the many reasons that Vanves flea market is ideal for travelers, is that most of the products for sale are small and lightweight, meaning they fit into a suitcase perfectly. 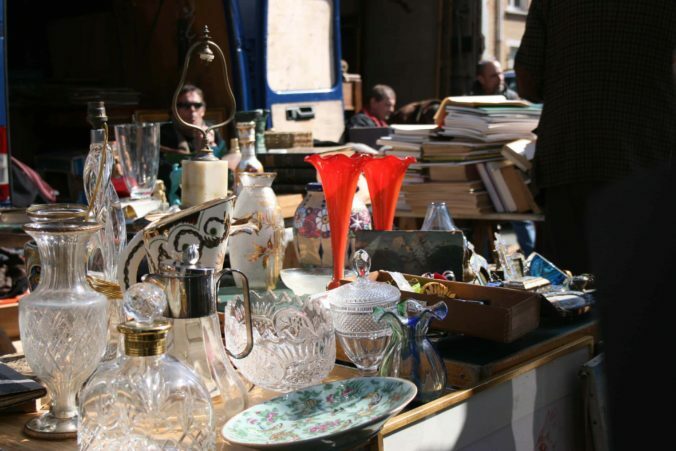 And did we already mention that Vanves flea market was more affordable than Clignancourt? 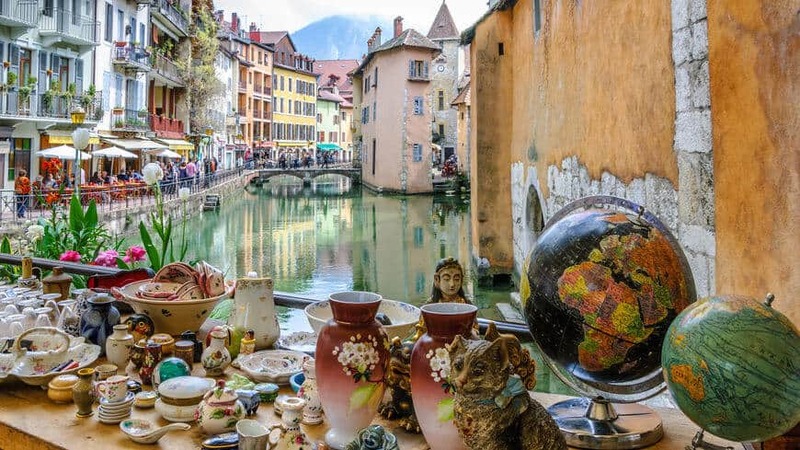 This friendly “brocante” (established in the early 20th century), hosts around 350 vendors, who sell their goods for very fair and reasonable prices. Try to arrive early in the morning (around 7:30 am), as stock does tend to go quickly in Vanves. Crowds begin to appear at 9:00 am, so if you want first pick, then you should skip the hotel breakfast. Don’t worry, you won’t go starved, as Vanves flea market hosts a variety of food carts offering up warm croissants and freshly brewed coffee. It may be advertised that vendors stalls are open until 4.30 pm, however most sellers in Vanves pack up for a late lunch and often don’t end up returning. In their place new stalls set up shop with less enticing modern goods, rather than the vintage wears that attracted you in the first place. 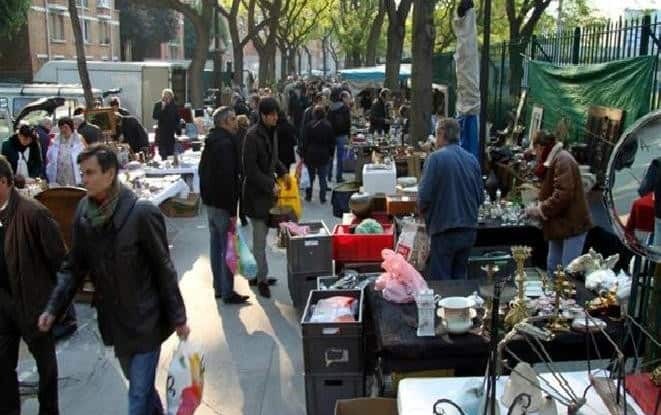 Keep in mind that most sellers at Vanves flea market only take cash, so make sure you withdraw enough money beforehand. 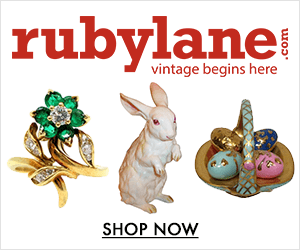 If you’ve got your eye on one-too-many alluring items, then your best bartering skills will need to take centerstage. Vendors usually go down to around 10-15 percent of their original asking price. 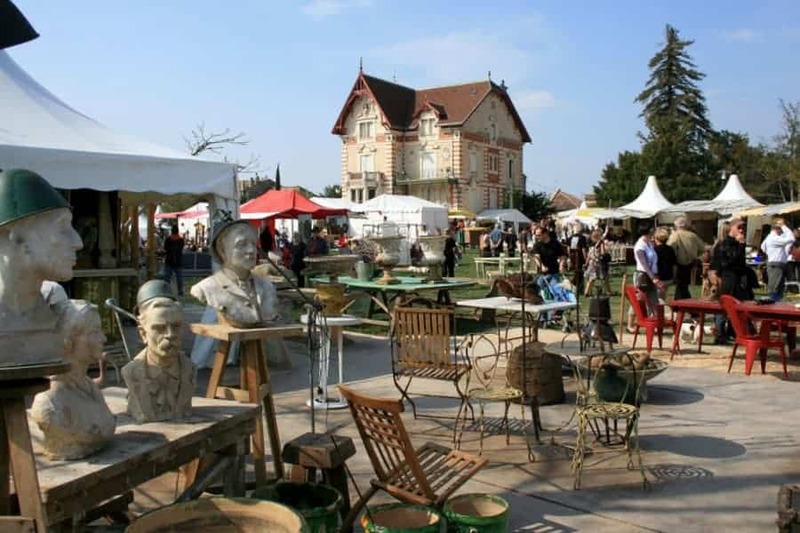 Expect to find eccentric furniture, vintage collectables and quirky curiosities at Vanves flea market. 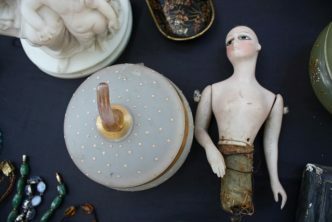 Some of the items amongst the array include an ornate fan with hand-painted lilies, a burgundy leather Accordion strap and empty 1930s Chanel ‘eau de parfum’ bottles. 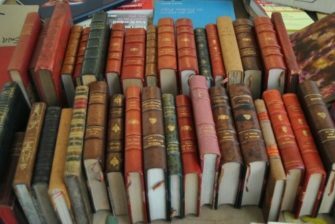 What can you expect to find at the Vanves flea market? I just visited this market for the first time last week and I loved it! My sister and I found as many great finds as we could carry home. I will definitely be visiting this market again. We drove in to the market and parked near the Monoprix right off the periphique. We walked the short walk to the back side of the market. We started from the end and we were a bit overwhelmed at first. My sister and I love vintage and it was a lot to take in. The first thing we had to do was get some cash, there was a short walk to an ATM and a delicious bakery, this bakery boasted the best baguette in 1988 and 2014. After our wallets were filled with cash we headed back out. We found many treasures along the way. At the end of the market there were several places with their wares laid out on the ground and prices were quite low. There were a few treasures if you were willing to dig. We made it all the way to the traditional start of the market at the Metro stop. I did find prices went up the closer to the metro stop we got. If I were coming for the first time I would definitely wait to find a bargain. We saw a few vendors packing up around 12:30. One stall had a sheet full of goodies for 1 euro an item. Again, it looked like a pile of stuff, but after a little digging I found a few more things worth taking home. We stopped for lunch at a delicious little cafe. When we were done eating there were still a few vendors open. My sister was able to get a vintage orange Hermes Baby type writer on our way out that she was very excited about. My favorite finds of the day were a purple transfer ware soup tureen and a vintage Spanish atlas. I would recommend bringing a rolling bag if you are planning on doing any serious shopping, vintage items tend to be heavy. Have fun! That’s a great story! I know really well this bakery near the ATM: indeed one of the best bread and pastries in the 14th district of Paris. Have you had a chance to try the crêpes from this food van located at the crossing of Avenue Georges Lafenestre and Avenue Sangnier? You should next time: as far as I remember they’re delicious, and it offers an entertaining spot on the flea market. 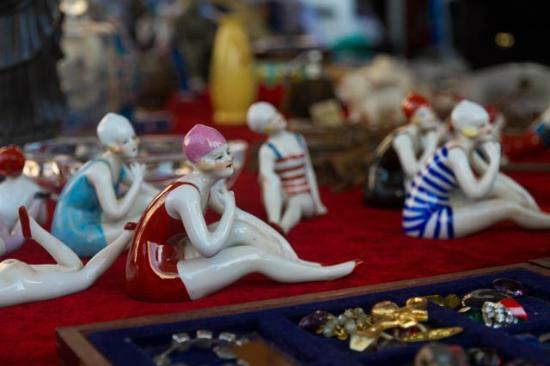 The Vanves flea market has a lot to offer, particularly if you’re an early bird. But as you mentioned it, some vendors start packing up at around 12:30, particularly if they’re having a slow day, which is great if you’re ready to haggle a bit on some items you like (particularly if those vendors sell bulky items like furniture, decor, chairs, etc, as they’re often willing to get rid of them if the price is fair, in order to make extra room in their storage). 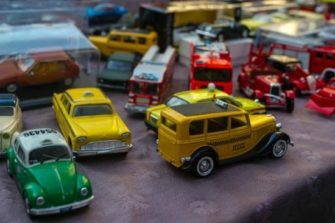 Congrats for your finds, and if you wish, feel free to share them via the “upload Images” icon on the comment section; I’m sure some readers will feel inspired after that! Here are some of our finds from the day. I am looking forward to going back again. is this market open on saturday? 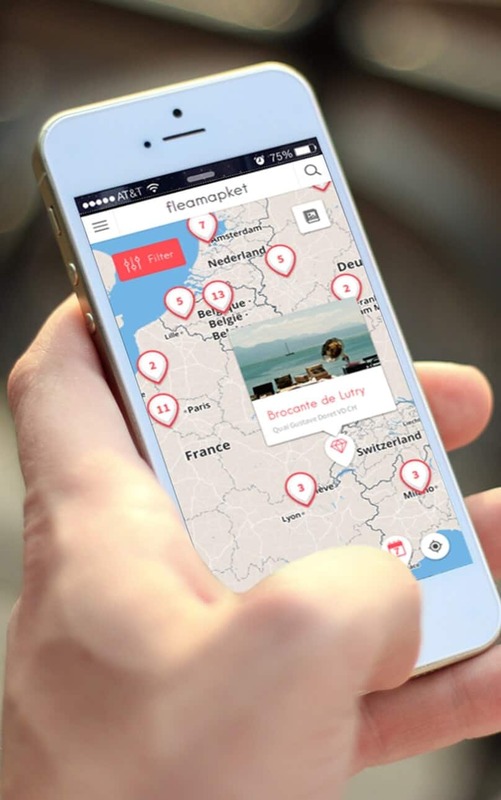 Is this market open in the month of August when Parisians take their vacations or holidays? In town for the first time for the holidays. Are you open Christmas Eve (Dec. 24th)?